Two childhood acquaintances come of age on the bloody fields of the American Civil War. “Maybe now the God he didn’t know very well was punishing him for what he had done.” With this line, Michael K. Smith sums up both the experiences and psyches of not just Home Again‘s protagonist, Zach Harkin, but also his counterpart, Luke Pettigrew. They are two backwater Tennessee boys who go to battle in the American Civil War. Throughout Smith’s new short novel, we see two young men who are good with a gun but short on life experience, while the gods of grace are absent and the gods of bloody war are all too apparent. Home Again is about coming to grips with senseless death and life hardships amid the worst of human conditions. Smith has done his homework. Home Again chronicles many famous battles during the Civil War, like the Battle of Shiloh, includes antique maps to guide the reader along famous war landmarks like Pittsburgh Landing and Corinth, and even incorporates the figures of such events, like William Tecumseh Sherman, with brief yet humorous description—“Tecumseh Sherman was a lean, wiry man.” The reader is led through each episode of the parallel story line between Harkin and Pettigrew’s experiences with considerable ease. Moreover, for a subject that is of potential epic proportion, Smith keeps the prose tidy and his characters humane. The passages are short, to the point, and don’t use any jargon or slang that one might expect with some characters. The aforementioned historical incidents keep the plot flowing along and give way to solid entertainment with a strong climax. Repetition and certain clichés hinder Home Again somewhat, though. The reader is treated to Harkin’s shooting technique—“deep breath in…exhale…half-breath in…hold”—a bit too often. Passages like “For Luke, the reality of war was about to take a giant leap closer” seem redundant and lack specificity about what was obviously a horrific war scenario. 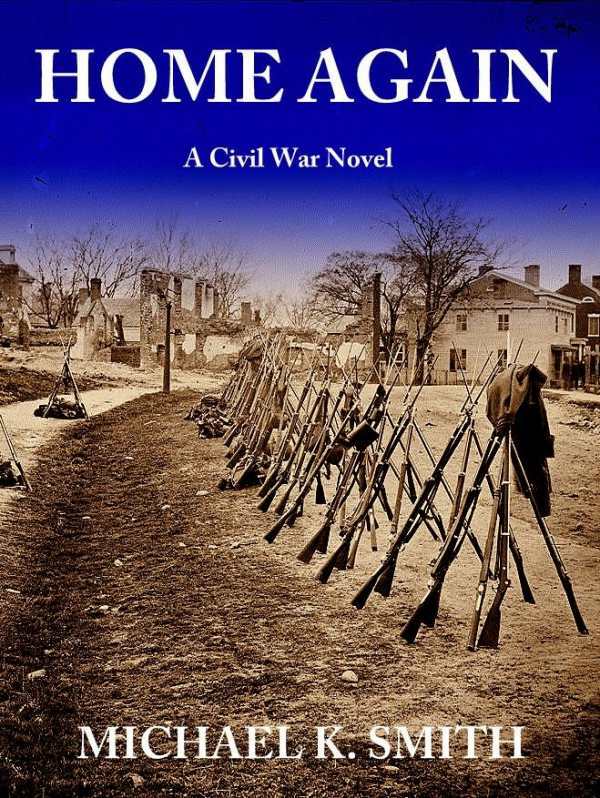 Further, as much as Home Again is an easy, fleeting read, its lack of originality makes the subject of the Civil War seem old hat. An infusion of some new literary angles, similar to Ambrose Bierce’s use of supernatural elements for his stories on the same subject, could have elevated Home Again from being a routine war chronicle. Smith’s writing conveys his deep interest in the subject while simultaneously finding the human spirit in conflict. Home Again’s strong writing outweighs its downfalls. When we see so much news about war today, Home Again reminds us of its horrors but also gives honor to those who served in it.